These are just some of the loyal Spireites fans who made the long Tuesday night trek to Sutton United to see their side’s 1-1 draw. 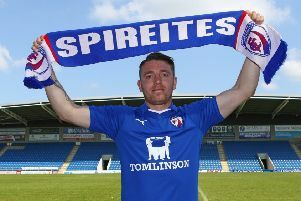 Their loyalty was rewarded when Jonathan Smith struck late to save a point following a below-par display from Chesterfield. Boss Martin Allen said: “I am sure the fans were absolutely bored ridged.